Can 'Power Rangers' Slay Disney's 'Beast' at the Box Office? Can ‘Power Rangers’ Slay Disney’s ‘Beast’ at the Box Office? This weekend’s box office will see three new films — “Power Rangers,” “CHIPS,” and “Life” — fight for a strong opening in a crowded movie market. But none of them are expected to keep “Beauty and the Beast” from holding on to the No. 1 spot after a record-setting $174.8 million weekend. “Even if ‘Beauty and the Beast’ were to drop fifty percent from its opening total, it would still be way above the highest grossing newcomer,” predicted comScore’s Paul Dergarabedian. “This week we are seeing more traditional March releases as opposed to big blockbusters like ‘Logan’ and ‘Beauty.” But even holdovers like ‘Get Out’ and ‘Kong: Skull Island’ are going to create competition for these newcomers,” he added. 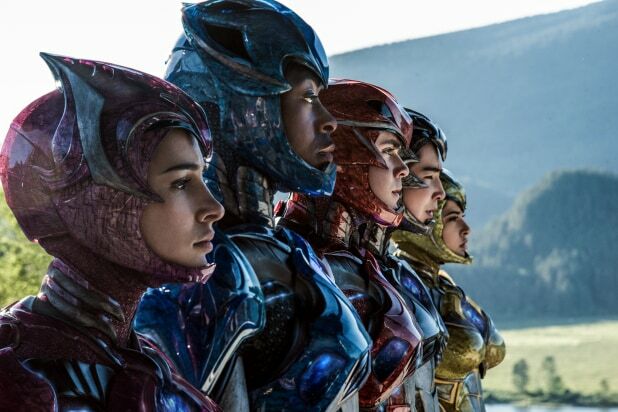 Of the three new films, the one expected to take second place this weekend is Lionsgate’s “Power Rangers,” which independent trackers predict will make $35 million in its 3,500+ screen opening. Lionsgate’s estimate is a tad lower, predicting an opening total between $30 million and $33 million. With a $105 million budget and hopes to turn this reboot of the kids’ TV series into a film franchise, “Power Rangers” will look to overseas markets for a boost. “Power Rangers” retells the story of the TV show’s first season back in 1993, with five teens from Angel Grove being summoned by the mysterious Zordon (Bryan Cranston) to become the Power Rangers and take on his former ally-turned-villain, Rita Repulsa (Elizabeth Banks). Dean Israelite directed the film from a screenplay by John Gatins, with “Power Rangers” creator Haim Saban producing with Wyck Godfrey, Marty Bowen and Brian Casentini. The film has received mixed reviews on Rotten Tomatoes, with current scoring at 50 percent. Warner Bros. is entering “CHIPS,” a comedy based on the hit ’70s TV series of the same name. It stars Dax Shepard and Michael Pena as a pair of California Highway Patrol officers tasked with bringing down a sadistic ex-cop (Vincent D’Onofrio). Projections place the $25 million film on the lower end of the top five this week, at around $10 million to $11 million. Shepard directed, wrote and produced the film; with Ravi D. Mehta, Andrew Panay, and Rick Rosner also producing. Finally, there’s Columbia Pictures’sci-fi horror flick “Life,” which received mostly positive reviews from critics who saw it at SXSW, but is estimated by trackers to only open to between $12 million and $17 million against a $58 million budget. The film was originally supposed to be released on May 26, but was moved to this week to avoid competition with “Pirates of the Caribbean: Dead Men Tell No Tales” and “Alien: Covenant” — the latter of which “Life” has drawn comparisons to for its space horror premise. Now trackers see it getting squeezed out in a very competitive March weekend, though strong critical reception could help save it. “Life” stars Jake Gyllenhaal, Ryan Reynolds and Rebecca Ferguson as astronauts on a Mars exploration team that finds itself in terrible danger when the alien specimen they recovered turns hostile and threatens to kill them all on their voyage back to Earth. Daniel Espinosa directed the film from a script by Rhett Reese and Paul Wernick, with David Ellison, Bonnie Curtis, Dana Goldberg, and Julie Lynn producing. On the international side, “Kong: Skull Island” will release this weekend in China after making $260 million globally over the past two weeks. So far, the film has made $111.4 million domestically, a solid amount that got a boost from positive reviews and the name recognition of its titular gigantic ape. 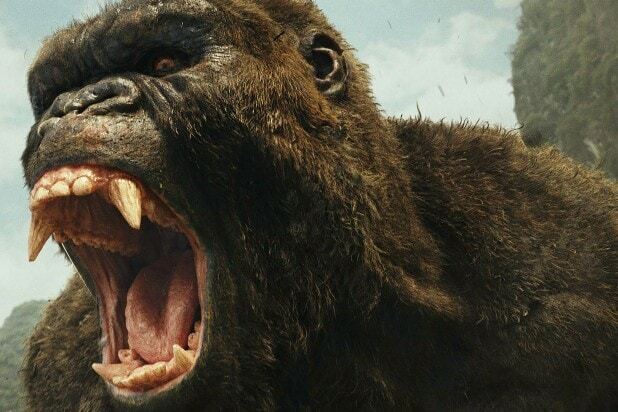 But with a $185 million budget and an extensive marketing campaign, Legendary Pictures is hoping for much bigger results as they aim to turn “Skull Island” into a springboard for its MonsterVerse series, which will culminate with “Godzilla vs. Kong” in 2020. With “Beauty and the Beast” released in China last week, “Kong” will have the advantage of being the only newcomer for Chinese audiences who historically enjoy monster movies. 2013’s “Pacific Rim” made just under $112 million during its run in China, while Legendary’s “Godzilla” made $77.6 million. Trackers are expecting a strong opening for “Kong,” estimating an opener between $50million and $60 million.